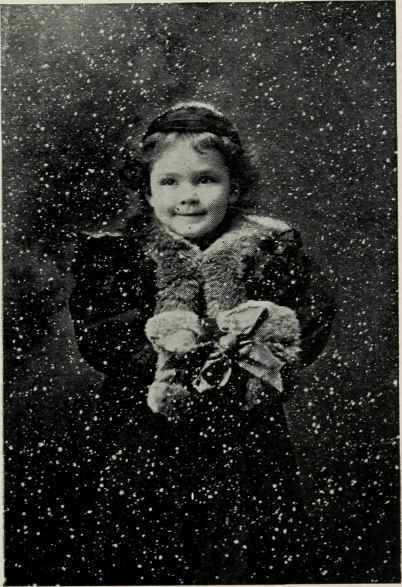 We have several times been asked how to make "snow effects," that is, pictures so that the person will look as though they were in a hard snow fall. Choose a dark cloud ground and make the negative just as usual. After it has dried, and before retouching, the negative is layed flat on a table, film side up. The face of the subject must be covered with a piece of paper just large enough to cover it well. A solution of India red and water, should be made to a good thickness without being stiff. Take a tooth brush, dip in the solution, shake off the surplus, and then "flirt" the "snow flakes" all over the film. With a little practice one may become very proficient at it. There are also regular snow grounds which may be obtained from any stock dealer, but in any case the "flakes" will have to be made as described, above. The piece of paper covering the face of the subject is of course to keep the spots off the face.